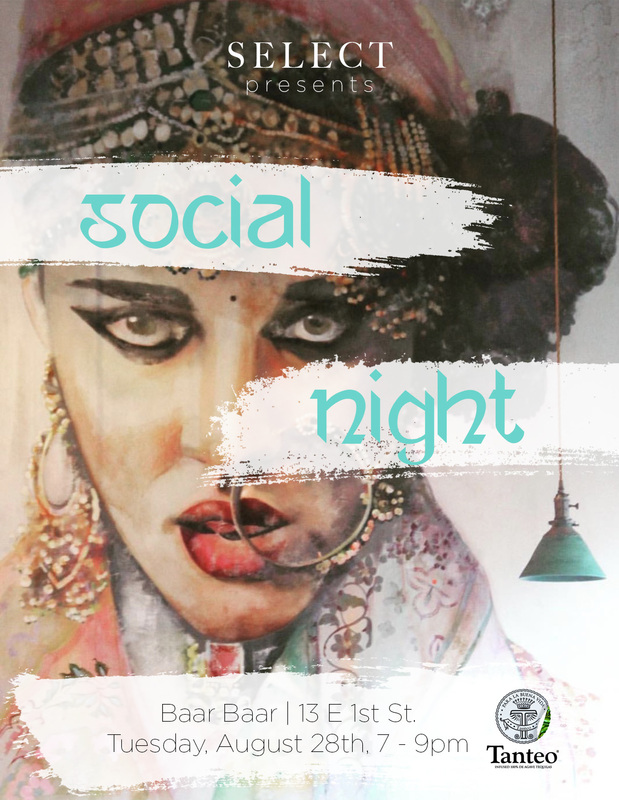 Baar Baar quickly became a SELECT NYC favorite this year, so we jumped on the opportunity to host our next Members-only Social Night at this beautiful, eclectic Indian Gastro Bar. Starting at 7pm, SELECT Members and their guests will receive an hour-long open bar featuring passed canapes and three choices of complimentary specialty cocktails. One is from Baar Baar's unconventional cocktail list, and two are delicious recipes featuring our liquor sponsor, Tanteo Tequila. Want even more? Members and their guests can make same-night dinner reservations for a special, one-night discount of 20% off the bill! Tanteo® Tequila is the original 100% agave spicy tequila. With original Jalapeño, smoky Chipotle, and extra spicy Habanero expressions, Tanteo is distilled, infused, and bottled by hand in the hills of Jalisco, Mexico. This event will be complimentary for Members and 1 Preferred Guest. Additional guests are $15 each.